Our coverage round-up comes from our amazing client Carwow today after they recieved two great pieces of coverage. The first piece appeared on This is Money and was about the biggest discounts on cars Carwow had seen on their site this month. The piece also included a small profile on what carwow does and how it works. 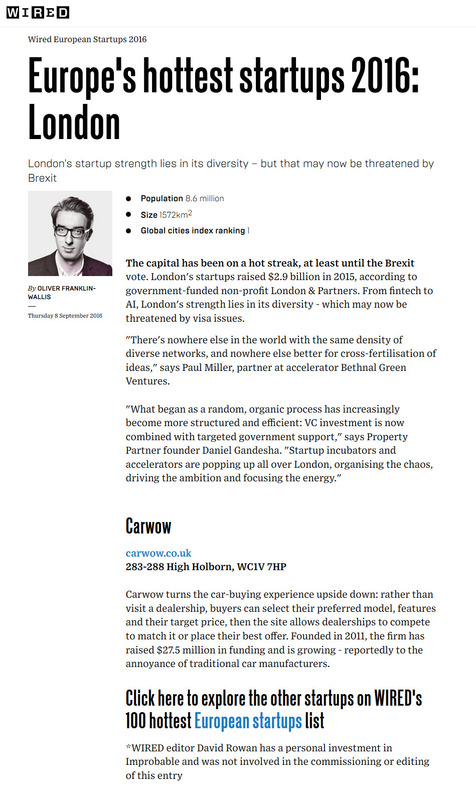 The second piece of coverage appeared on Wired.co.uk, where they named Carwow as one of London's hottest start ups of 2016.